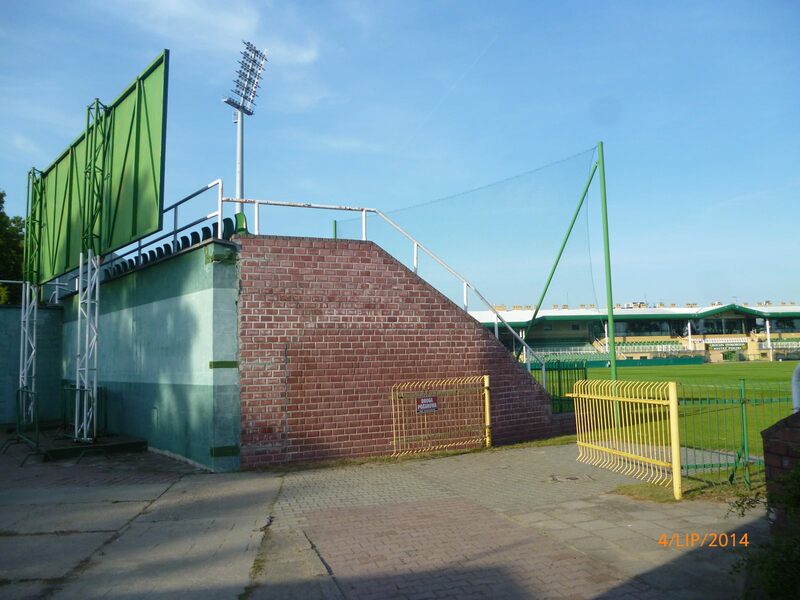 The initiative of building a new stadium came up first in 1923, but local authorities didn’t follow suit. 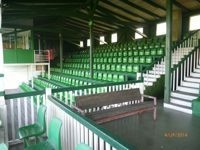 However, with massive support from local magnates both the land and wood for railings and main stand was gathered very fast. 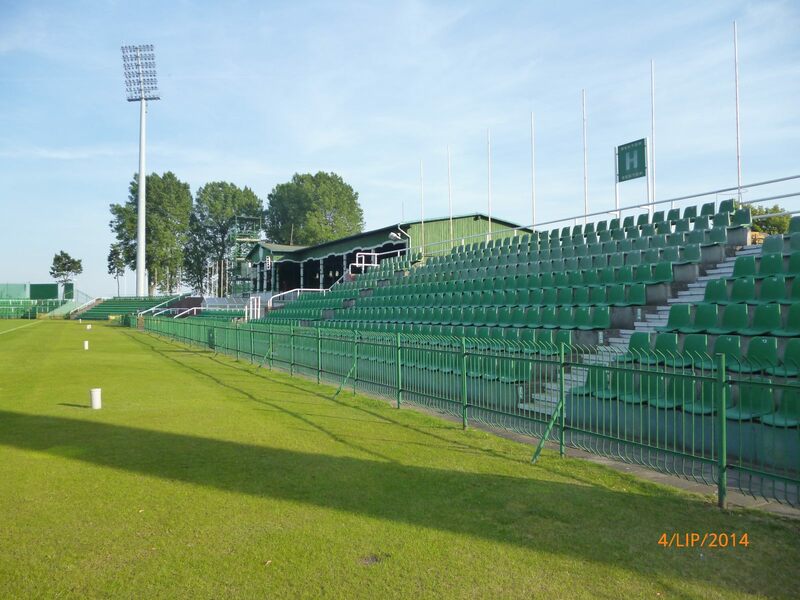 Worth mentioning, the nobles were of national prestige, like general Sosnkowski (currently patron of Polonia Warszawa stadium), prince Czartoryski and numerous counts. 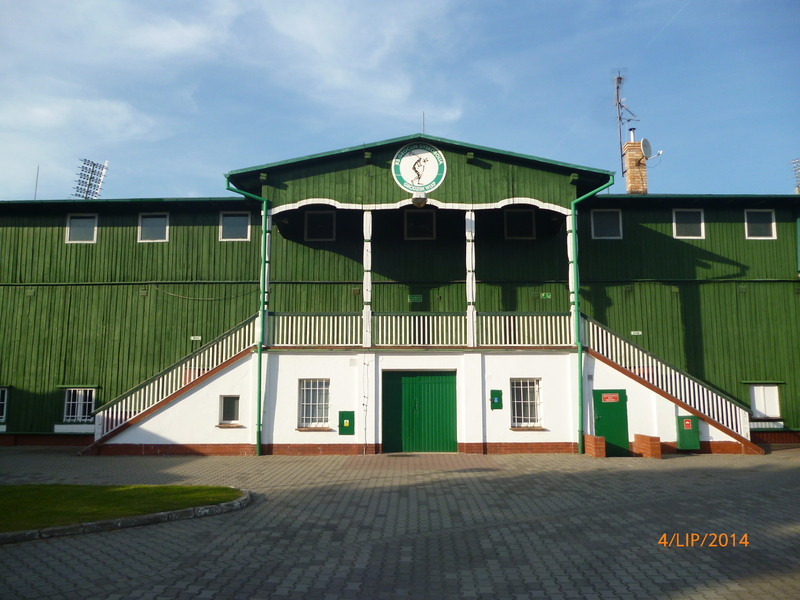 Opening took place on November 11 1925, on the 7th anniversary of Poland regaining independence after 123 years. Early years showed huge popularity of the complex, which not only had a high standard football/athletic stadium, but also a swimming pool, tennis court and several other discipline pitches. 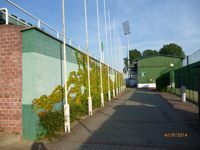 However, as WWII broke out, the complex went under Nazi youth organizations with its location close to Germany. 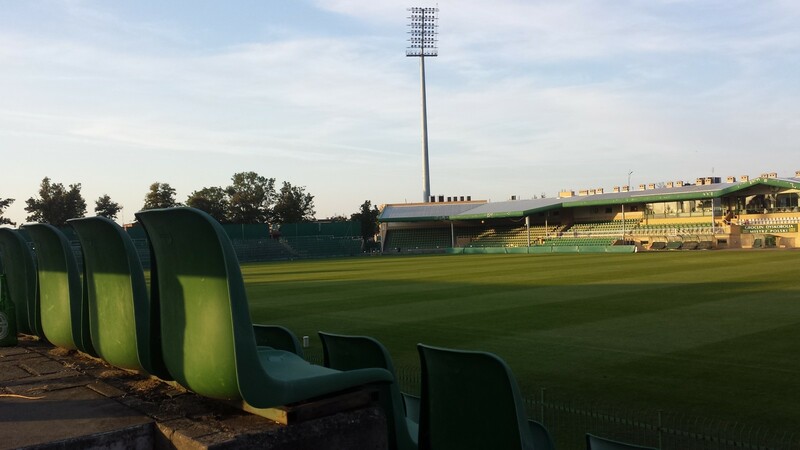 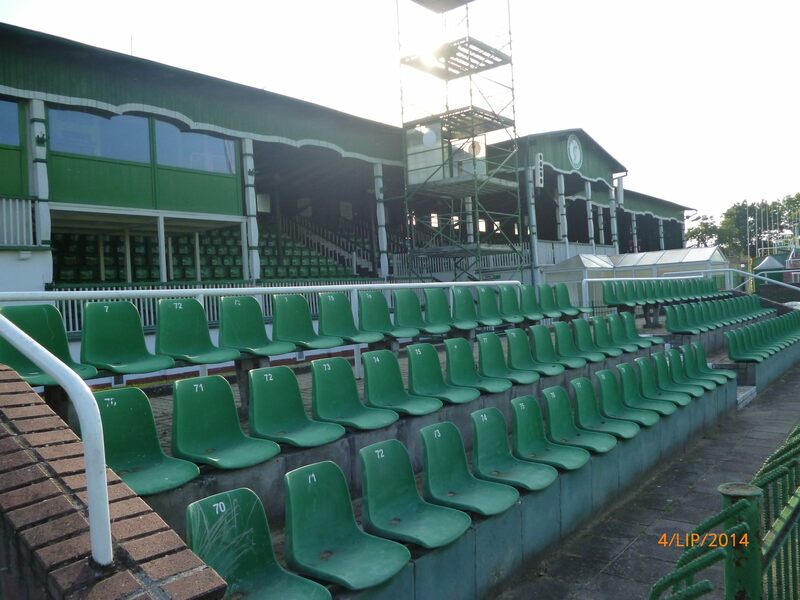 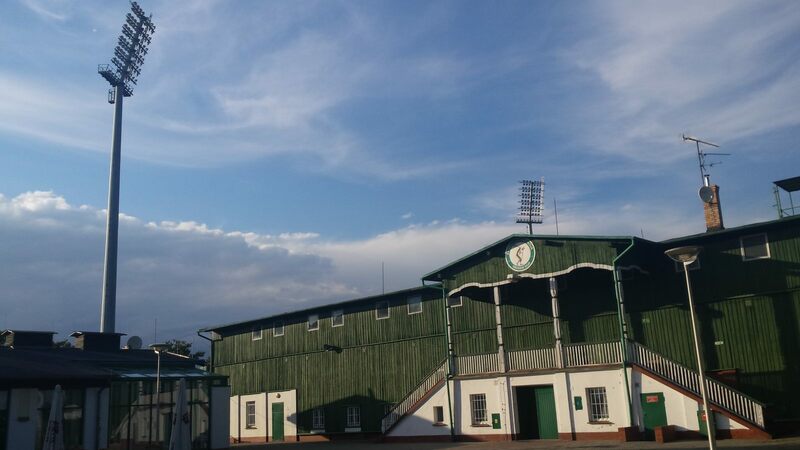 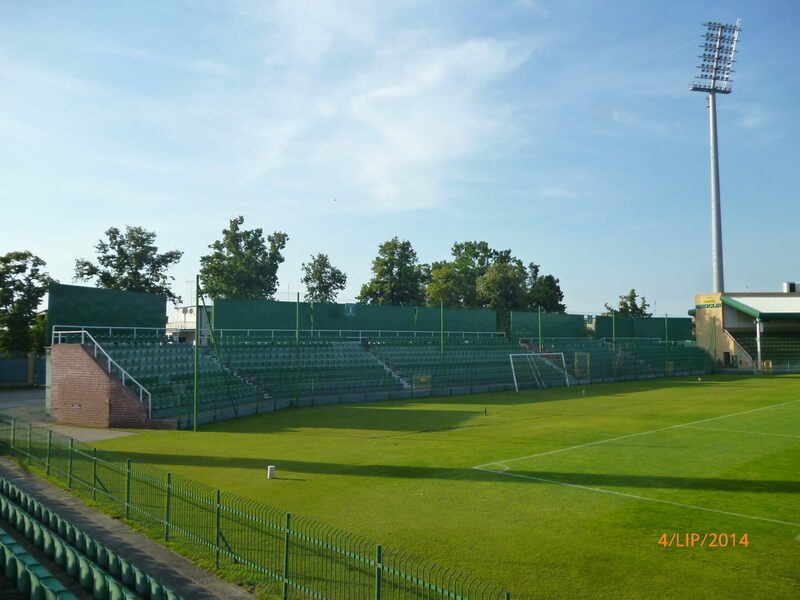 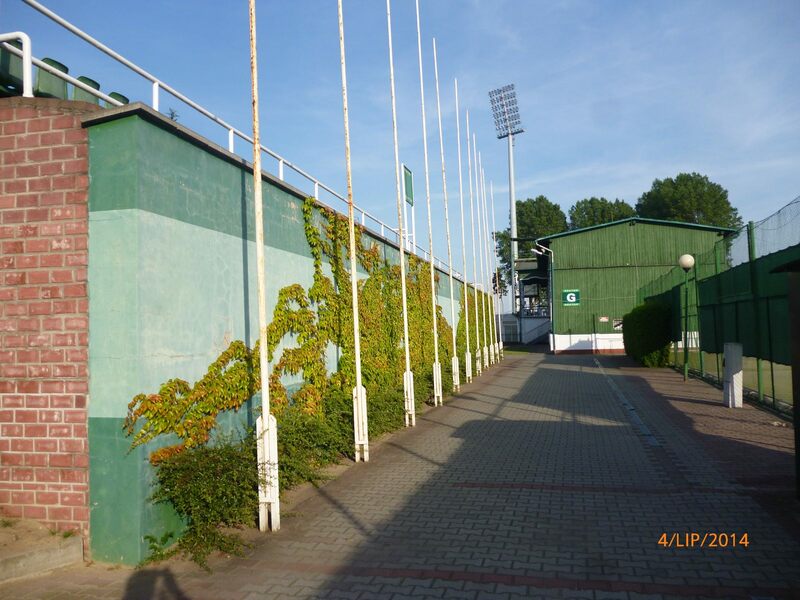 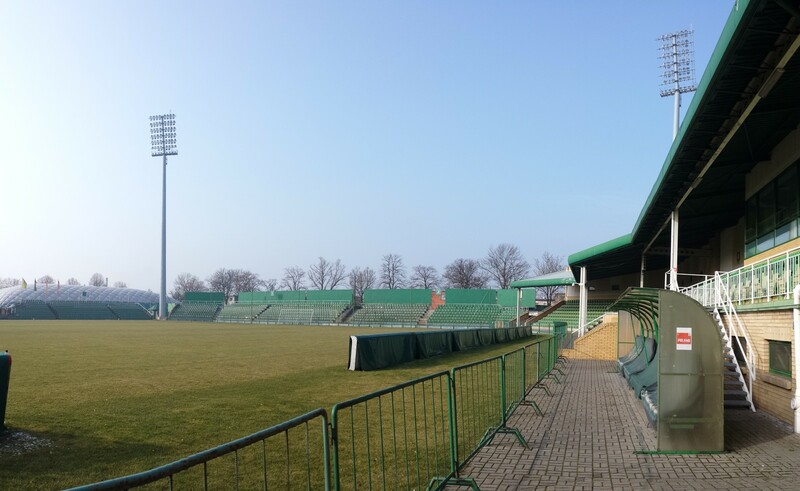 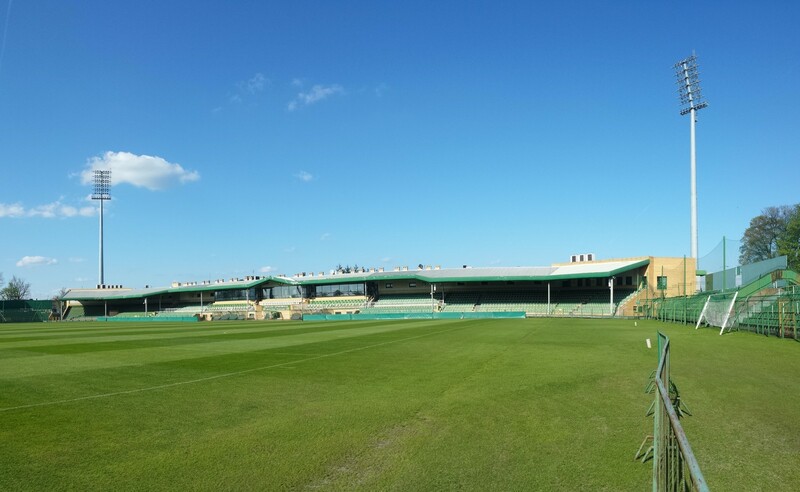 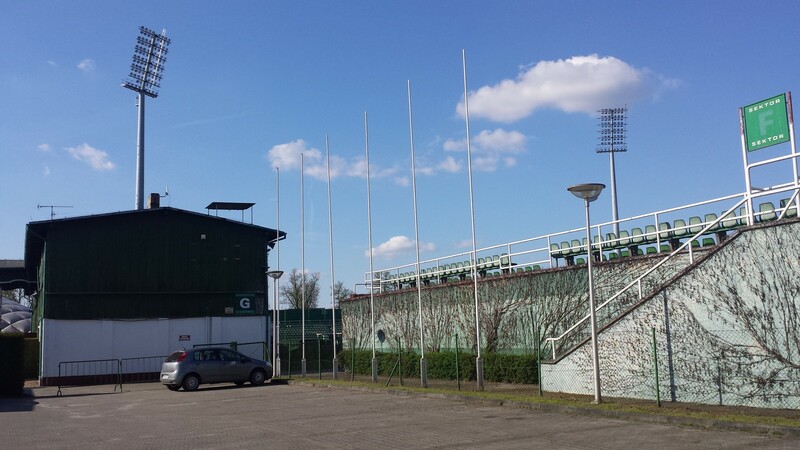 To this day the stadium has its historical wooden grandstand with decorative roof supports. 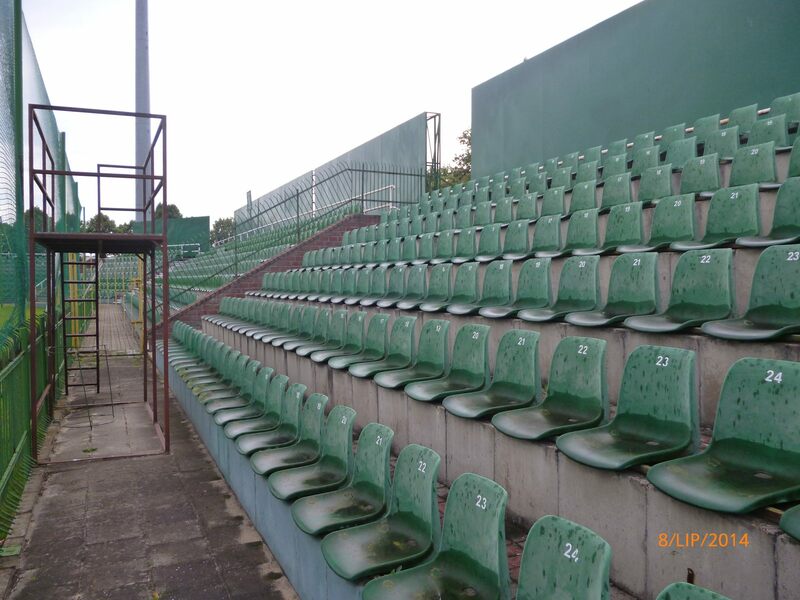 But since 1996 and heavy investment by seat manufacturer Groclin, it stopped being the largest section for fans. 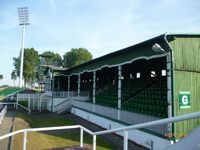 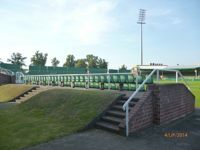 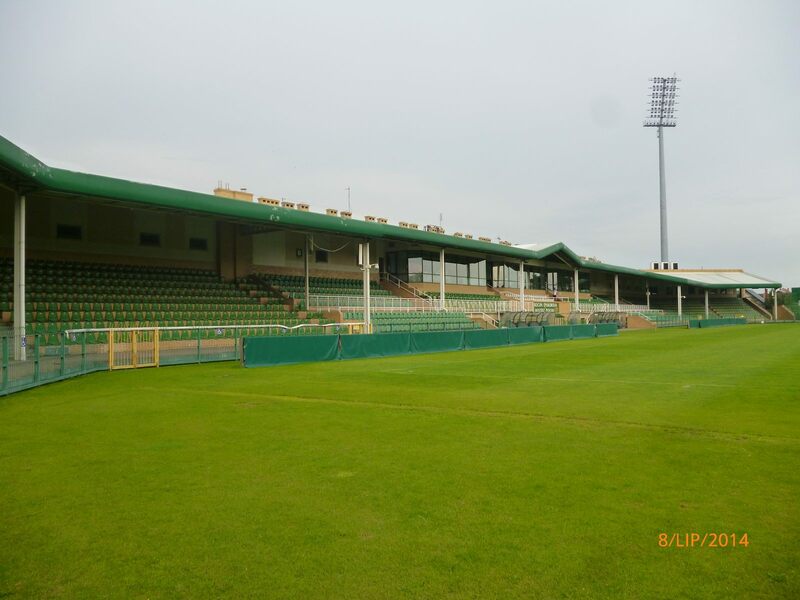 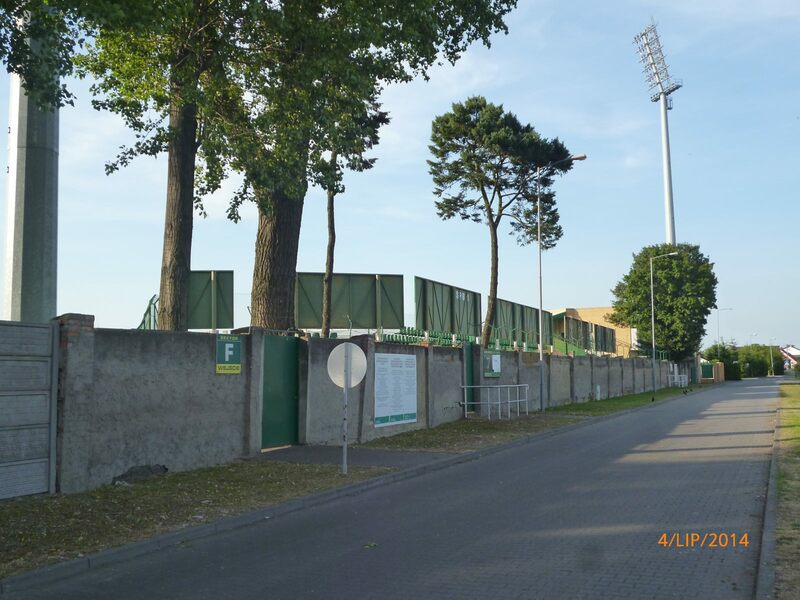 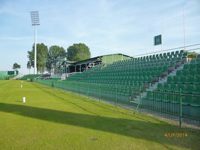 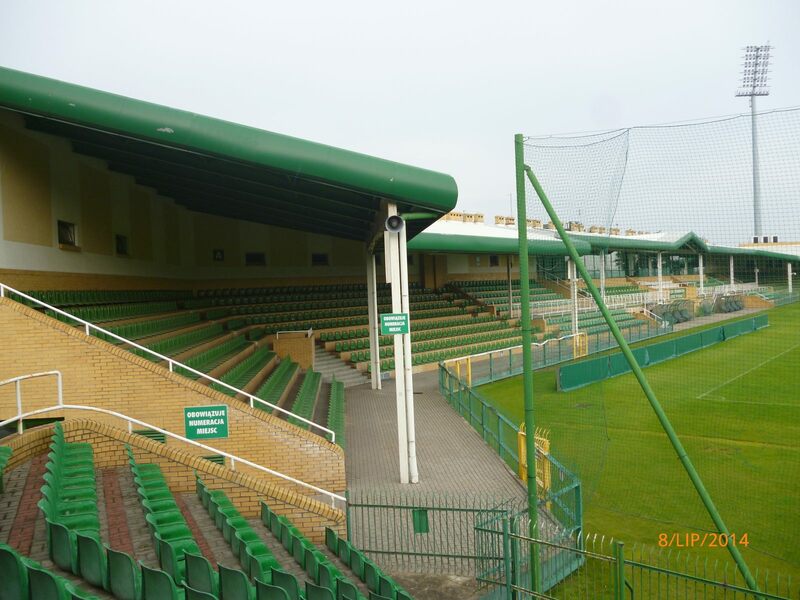 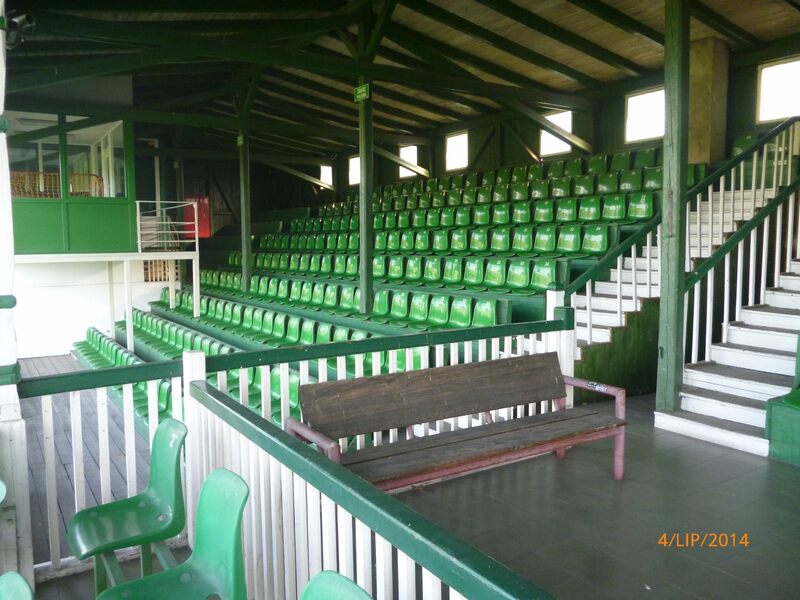 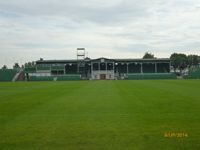 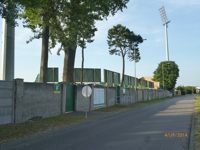 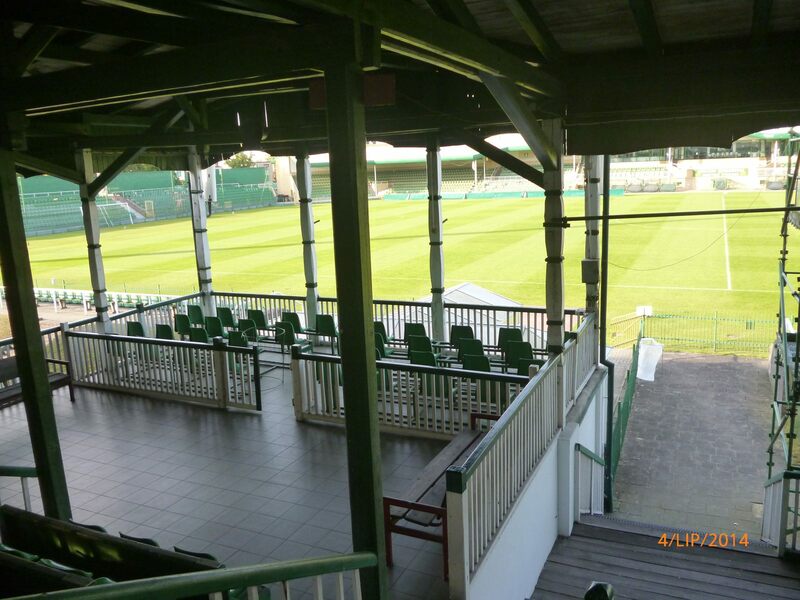 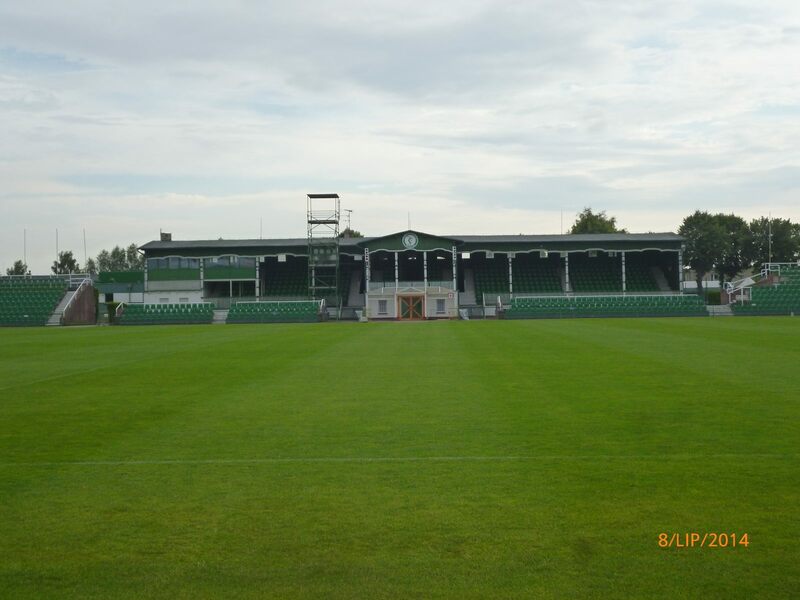 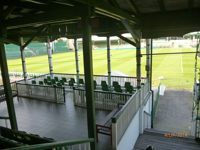 On both sides of the wooden structure, west of the pitch, uncovered seating sections were erected, with similar stands built behind goals. 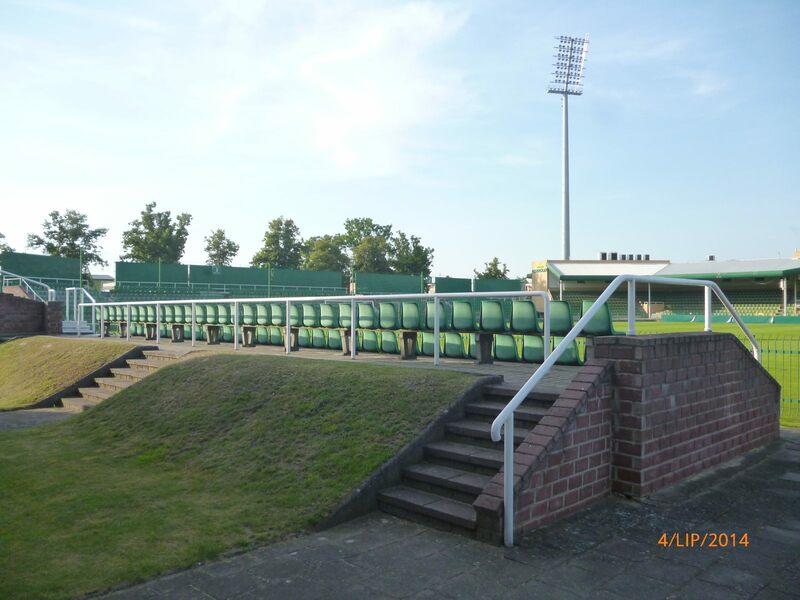 Most massive, completely covered new main stand was built east of the field, with a hotel conjoined on the outside. 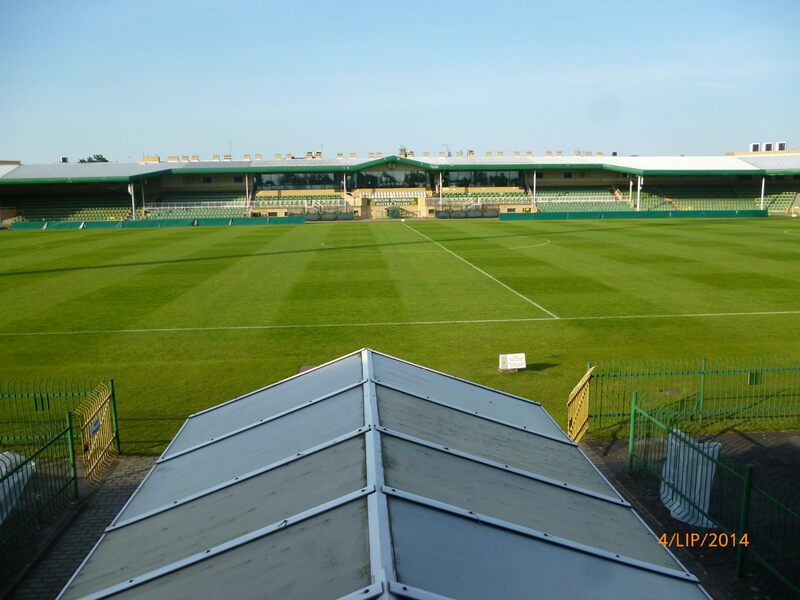 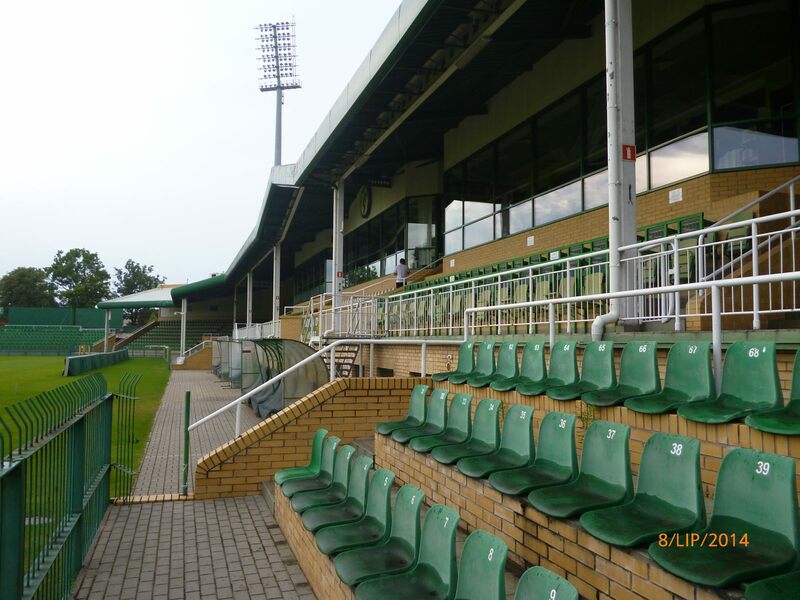 In 2003 floodlights were inaugurated. 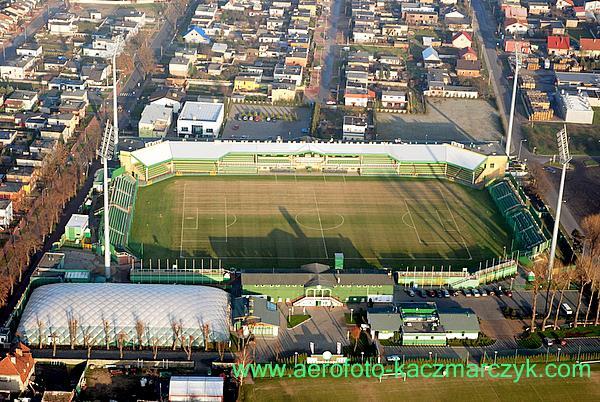 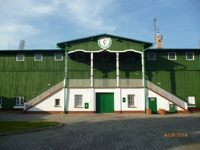 All these efforts were done by Groclin to meet requirements of the Ekstraklasa, to which Dyskobolia advanced first time in their history in 1997. 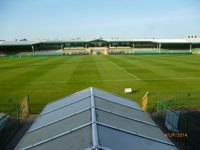 In 2003 they even managed to grab vice-championship (repeating it a year later) and host UEFA Cup games against the likes of Manchester City, Hertha Berlin (both teams Dyskobolia even eliminated), RC Lens, Bordeaux or Crvena Zvezda. 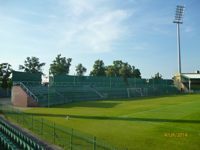 However, the golden era ended in 2008, when Groclin moved their players to Warsaw, leaving Dyskobolia on the brink of folding. 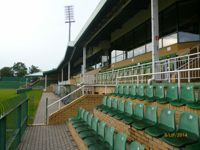 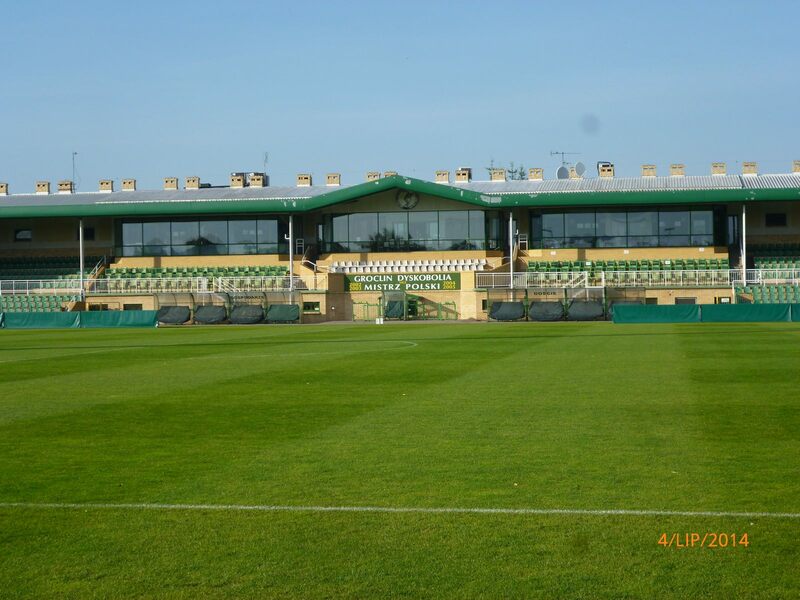 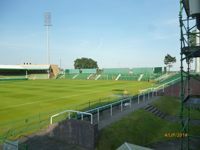 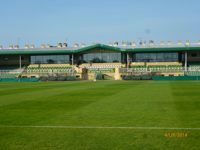 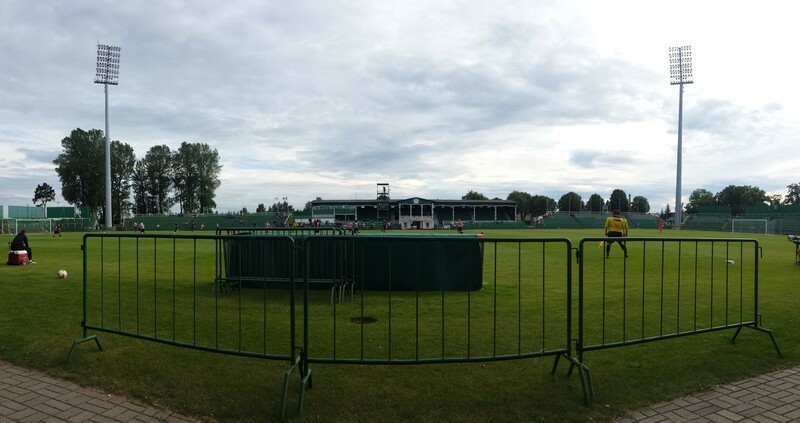 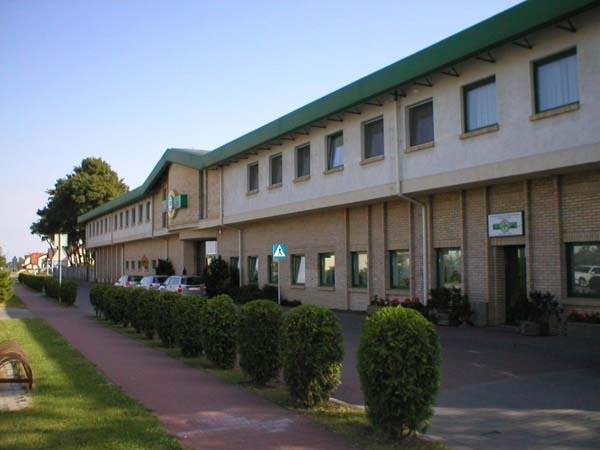 The club now plays in amateur league, while its stadium is used mostly by other clubs needing a training camp, due to its great facilities.